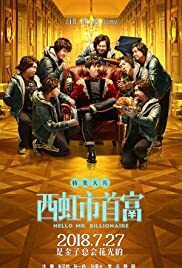 Full of humor, amusement, absurdity, exaggeration, and most importantly, heart, this farce Hello Mr. Billionaire is definitely one of the best comedies of the last decade. This film is also a landmark for Shen Teng, whose stunning performances anchor the whole film. A born genius, he is joining the rank of Stephen Chow, Ge You, Huang Bo and Wang Baoqiang.